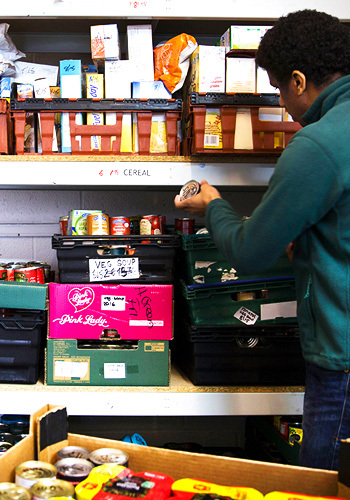 One of our close partners, as we serve the needs of the local community is the Warwick District Foodbank. Providing food for the poor and vulnerable across our town, we’re working with them as a food donation centre, so if you want to help, do drop in with your donations. There are certain items that are in good supply, and others that we are in more desperate need for, so please do check the list found here on the Warwick District Foodbank webpage, this is updated regularly. We are also a voucher issuing agent, which means we can give you a voucher so that you can claim an emergency supply of food from one of the Food Bank locations. If you need help come in and have a chat to one of our staff. Whether you're struggling to put food onto the table or just need someone to talk to, we are here to help. We are also partnering with Christians Against Poverty (CAP) to see people released from debt and poverty throughout our community. St Mary’s Church hosts a Debt Centre (which offers advice and practical help), whilst LCC runs CAP Life Skills and CAP Money courses, which are fantastic short courses that help people practically in areas such as budgeting, cooking and shopping on a budget, all in a fun and relaxed environment. We run our CAP Life Skills course at least 3 times a year, and each course takes place at The Lighthouse on Gloucester Street. This is a free course that will run over 8 weeks. Please visit our Calendar Page, to check out when the CAP Life Skills courses are running next, so you don't miss out! Hi, Please send me more information about CAP LIFE SKILLS/ FOODBANK. Thanks.